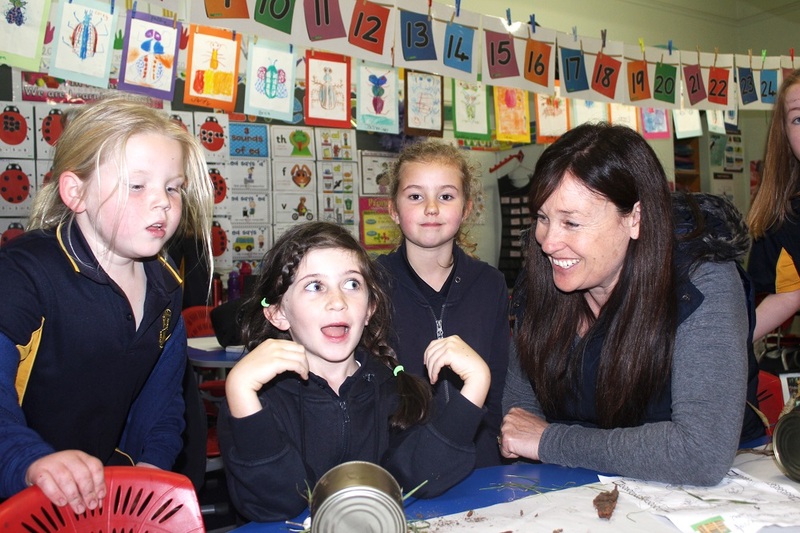 Leading teacher and La Trobe alumna Judy GIbbs makes mini beast houses with her young students. We’re at the Dunolly Primary School, on the edge of Box-Ironbark diggings, 40-minutes west of Bendigo. Old gold country. “Are you taking a metal detector?” asks a workmate. Talk of the recent $250,000 nugget find has whipped up a barrage of ‘what ifs’. Leading teacher Judy Gibbs says the gold fever is nothing new around Dunolly. Prospectors come the world over the try their luck here. But as we all know, changing life for the better takes work and love, not windfalls. Subject in point is this primary school. Judy is one of five Bendigo La Trobe alumni at the seven-teacher school. The others are Erin Holding, Luke Hutchins, Carla Scholes and Jacinda Polinelli. The group studied a Bachelor of Education at La Trobe between 1992 and 2014. Fellow teacher Leanne Britten and principal Katie Lovel studied at Ballarat. We’ve come to see how a teaching staff can turn a school around. 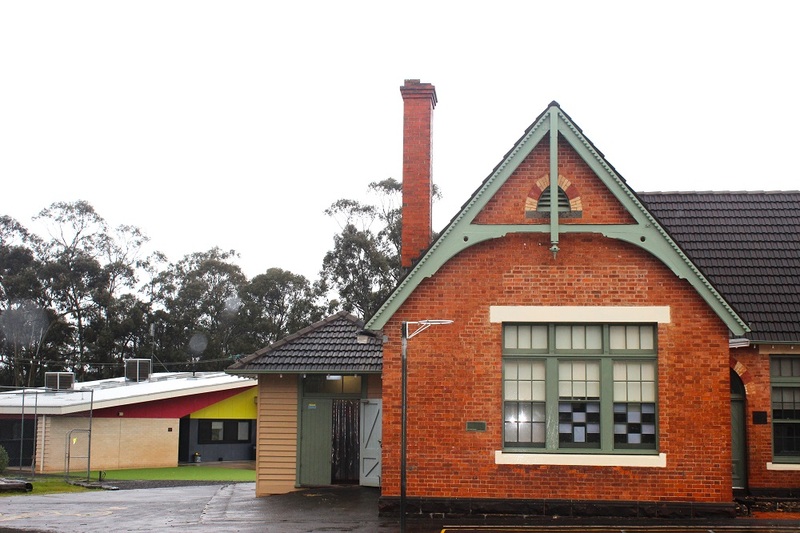 Judy says Dunolly Primary was once a no-go zone for many local families. “The school had a reputation for being quite rough,” Judy says. “I pulled our own children out of this school. That’s how bad it was.” Today it’s a different story. Judy moved to Dunolly in 1992 at the age of 22, newly graduated, newly married, and pregnant with the first of three children. She and her husband had bought the town’s butcher shop and came to run the business together. “The move to Dunolly was only going to be temporary, just until we could get on our feet, then we were going to move back to Bendigo,” Judy says. She’s well and truly part of the community now. Once the local principal realised Judy was a qualified teacher, along came casual relief work. In 2000 she started as a sports teacher and librarian and in 2010 a full time classroom teacher. 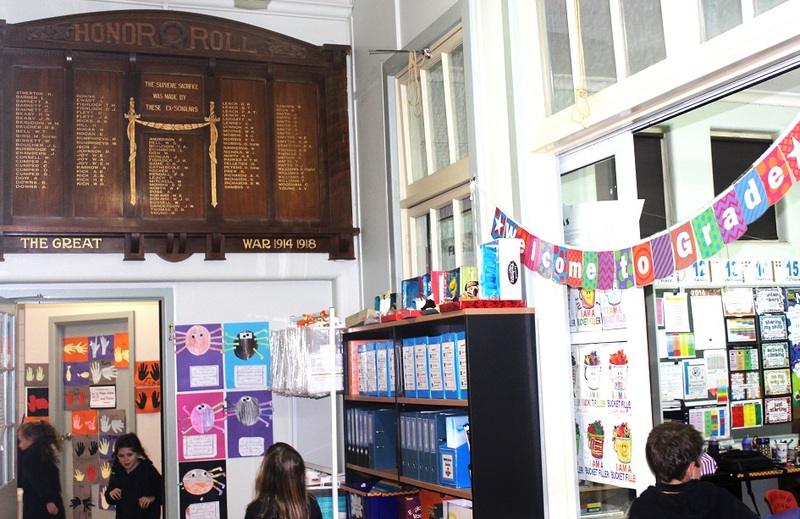 She’s seen first-hand the shift in attitudes and achievements at this country school over the past 15 years; because of new teachers, an increase in resources, specialist maths, literacy and welfare programs and a shift in the town’s demographic. 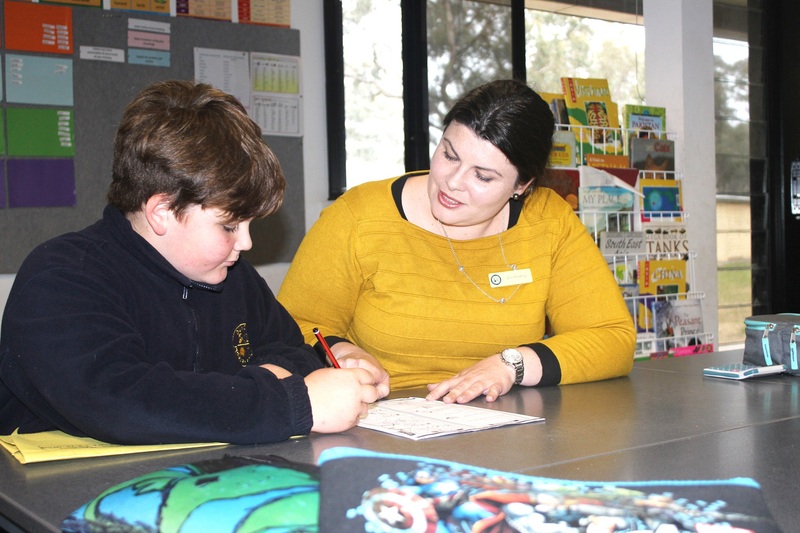 Student Bryce works on his maths skills with teacher and 2015 La Trobe graduate Erin Holding. He gets a laugh from his teacher. “You’ve been telling me jokes all day Bryce,” she says. Grade 5/6 teacher Erin Holding is giving Bryce some one-on-one maths tuition in her break. Above and beyond the call of duty seems to characterise the teachers here. “I don’t mind getting up at 5.30am and commuting from Kangaroo Flat to get here early so I can be organised,” Erin says. “I don’t mind the extra time I put in with my students to help them. I don’t mind the hard work.” Then again, Erin is used to it. She enrolled to study a Bachelor of Education at 27 years of age and graduated in 2015 with honours, all the while juggling two part time jobs and being mum to her now 12-year-old son. 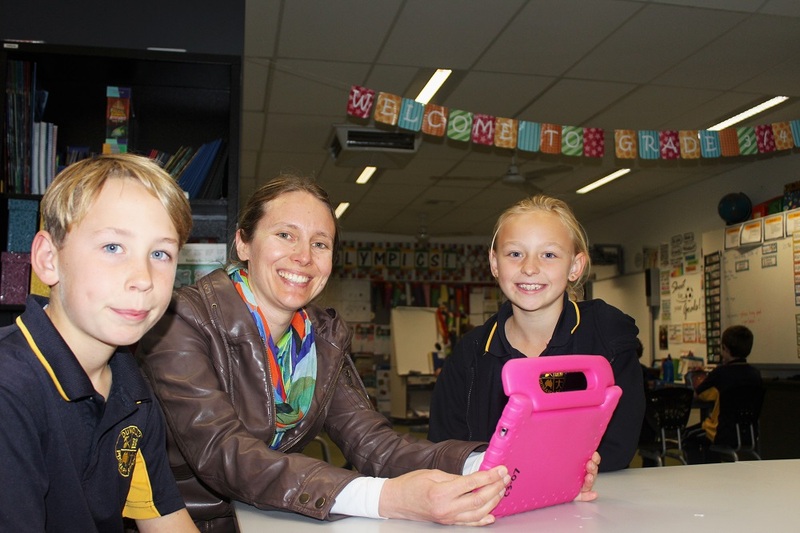 Teacher and La Trobe alumna Carla Scholes and her students get creative. Carla graduated from La Trobe in 2000. She taught at Echuca and Big Hill before her children were born, then joined the staff at Dunolly. This year she’s coordinating the arts program. It’s been a conduit to the wider community. Carla and principal Katie recently secured a large grant for the school from the CASS Foundation. It helped buy a class set of iPads, which is enabling the kids to combine technology and creativity. The students have used the entire township as inspiration. They’ve visited the CFA, bowls club, historic court house, Welcome Record office and local business in search of the perfect shot. The images will be shown at the grand old Dunolly Town Hall on October 8 and 9 before going on tour to the Bealiba Photography Exhibition. There’s just once catch… the photos must encompass the school’s values. “Our values are respect, achievement, resilience and community,” Carla says. They’re wholeheartedly embodied by all at this school. And that’s what’s golden.